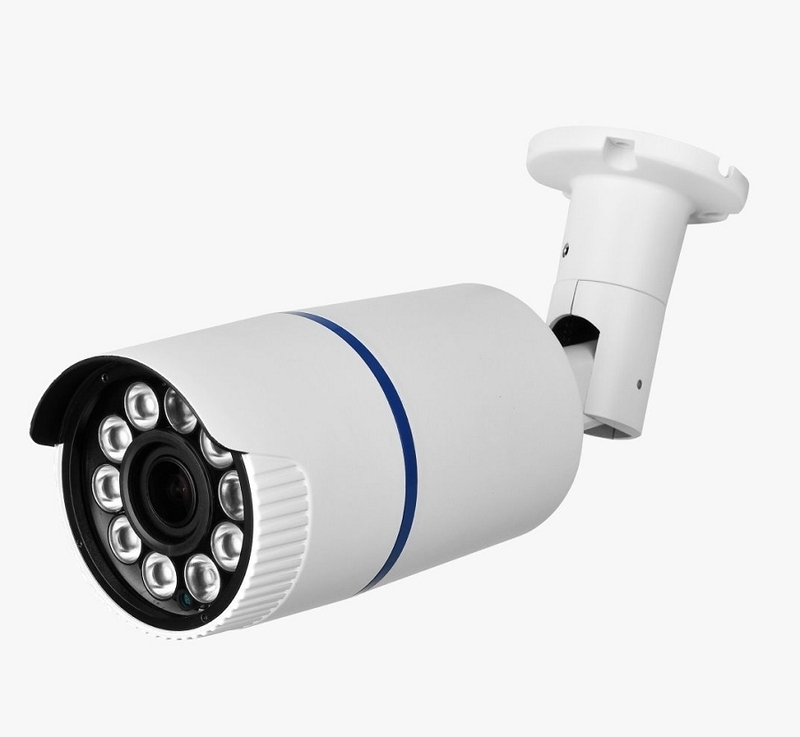 If you need extra long infrared night vision the IRB-HDA5M10HVF outdoor bullet camera is the answer. The 10 Super LEDs provide for up to 300 ft. of IR illumination and the adjustable 2.8~12mm lens allows you to choose just the right field of view. This camera can be used with AHD, TVI or CVI video recorders that can support 5MP recording. The camera provides full color images during the day and infrared assisted black and white images at night. The IRB-HDA5M10HVF also has Digital Wide Dynamic Range function that allows for better contrast in scenes that have bright and dark areas such as sun and shadows or indoors with large outside windows. An OSD (on screen display) menu allows for easy adjustment of camera and image settings to accommodate most any situation.